As some of the most heavily trafficked areas on your commercial property, your parking lot and drive-thru see a volume of traffic that very few surfaces see. As our name suggests, power washing is our specialty. 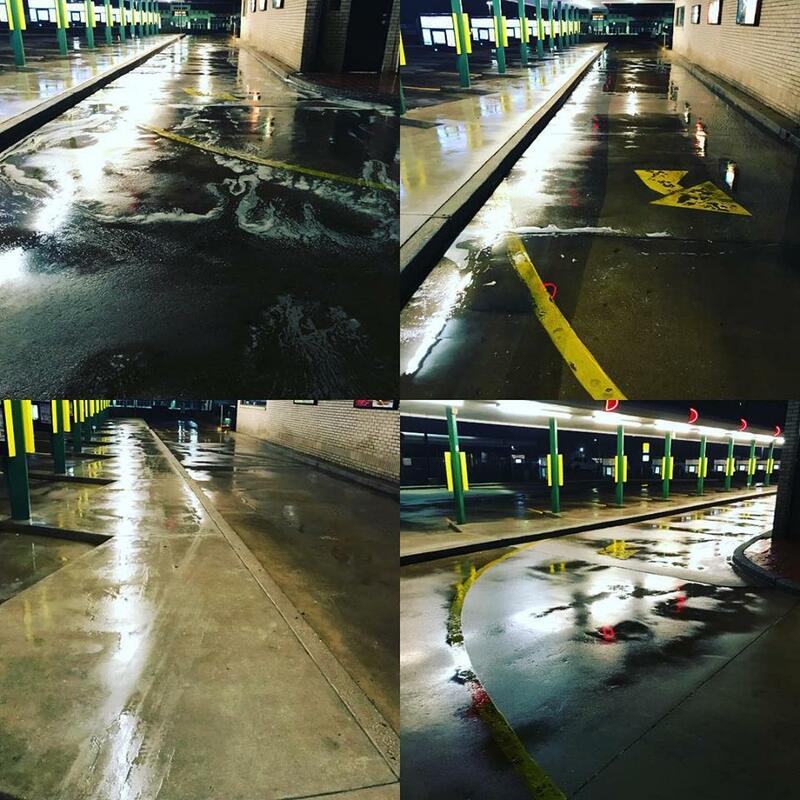 With state of the art equipment and industry leading techniques we can customize a cleaning solution to get your parking lot and drive thru areas clean and inviting in no time! Parking lots and drive thru’s make up a large portion of your commercial property, so it's no stretch to say that your property only looks as good as the parking lot and drive-thru! As these high traffic areas build up grease, oil, and other types of stains, it will create a negative impression in the minds of your customers, even leading some to skip their visit altogether! Our staff is punctual, courteous and fully trained to efficiently remove any stain on any surface. 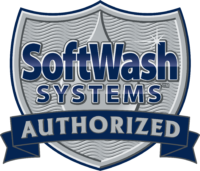 We have all been in a parking lot or two where we have stepped in gum or dodged caked on oil stains, food spills, and other unidentified stains. It likely did not create a great first impression about the business we were about to enter. The same could be true for your customers. A well-maintained parking lot and drive-thru area set the tone for your customers. They walk into your business with a positive mindset, knowing that they are dealing with a professional company that cares about their experience. 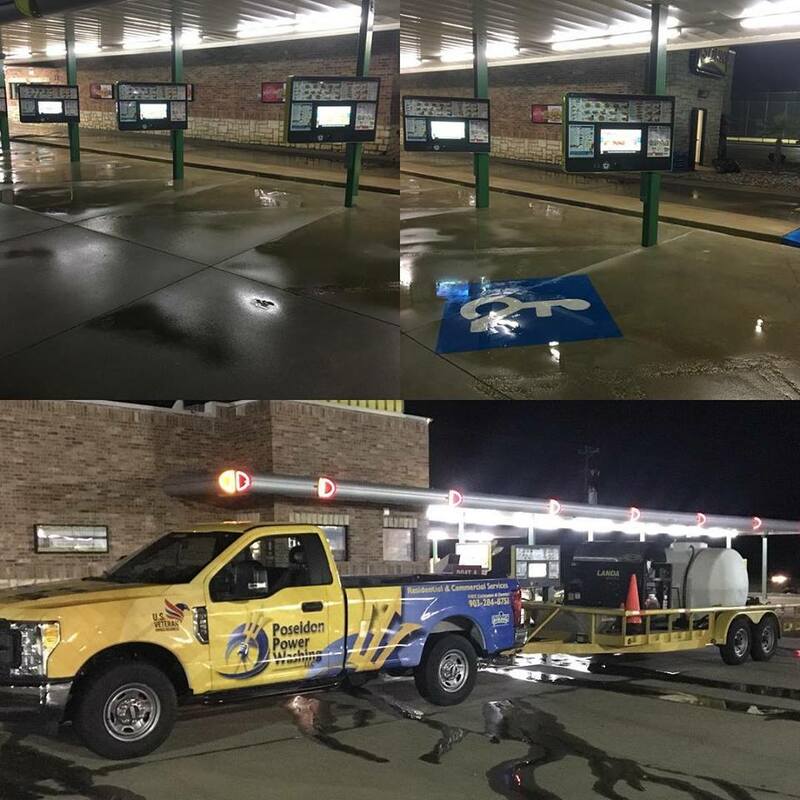 With parking lot and drive-thru cleaning service from Poseidon Power Washing, you can take control of your curb appeal and your customer's experience as soon as they step foot on your property!